Following the publication of my article in the Dover Mercury, on Sir Edwin Farley: Edwin Farley – Mayor who stayed throughout WWI, one of his granddaughters contacted me. Sir Edwin, a Dovorian, was born in 1864, after a few years at sea returned to Dover, and worked in the family dairy business. This he eventually took over and was also a councillor. 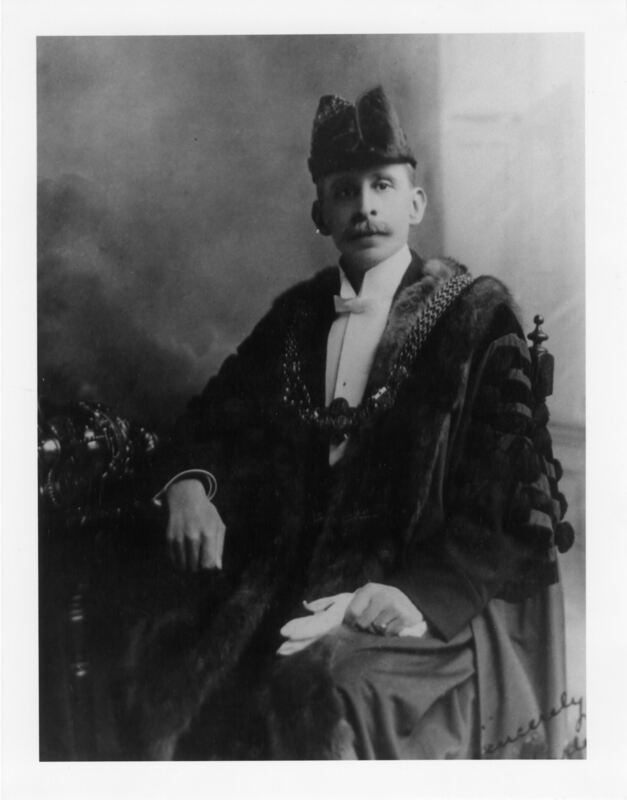 In November 1913, he was elected Mayor, a position he held until the hostilities of World War I ceased. It was his work as Mayor, during World War I, when the town was under Military Rule, that earned him his knighthood in 1920. By that time, Sir Edwin was a national legend, for always being on call and never once having slept out of the town. Before the War ended Sir Edwin officially accepted, from Vice-Admiral Sir Roger Keyes, the Zeebrugge Bell. The King of the Belgians had given this in recognition for the successful Zeebrugge Raid carried out on 23 April 1918. Sir Roger masterminded the Raid that involved scuttling ships at the entrance to Zeebrugge Harbour thus blocking an exit route into the Channel for German submarines. Following the War, Sir Edwin initiated fund raising that provided the obelisks commemorating the men of the Dover Patrol. These were erected at Leathercote Point, St Margaret’s Bay, which was unveiled by the Prince of Wales in July 1921, Cap Blanc Nez and New York harbour. With the money left over, Sir Edwin established a three-storey Dover Patrol Hostel on Wellesley Road. This was destroyed by enemy action during World War II. Near the site is a bench dedicated by Lady Farley in memory of her husband. 5 November 1924, saw the unveiling of Dover’s War Memorial by Vice-Admiral Sir Roger Keyes. 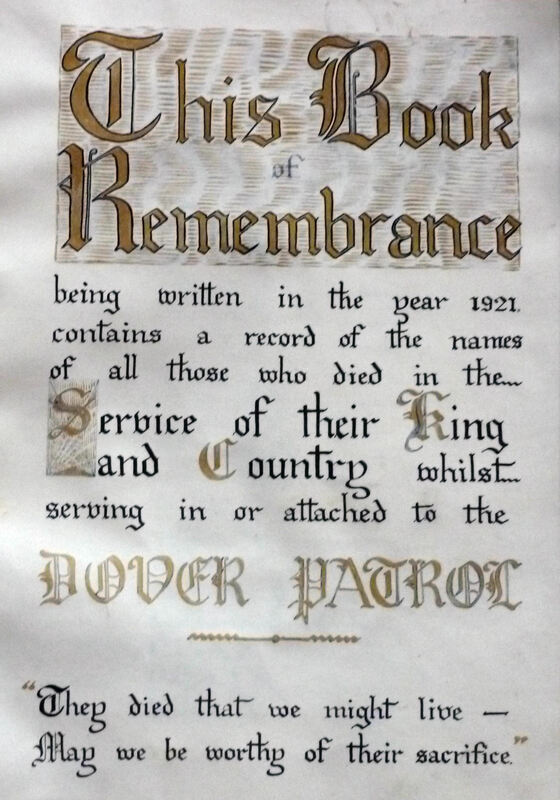 Afterwards the assembled dignitaries went to the Town Hall where Sir Roger presented Sir Edwin with the Dover Patrol ‘Golden Book’ – the Roll of Honour of the men who lost their lives serving in the Dover Patrol. 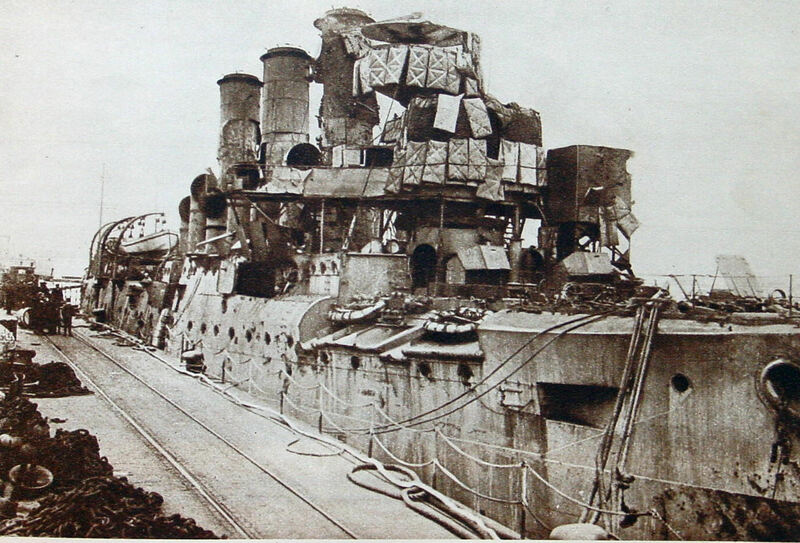 One of the ships involved in the Zeebrugge Raid was the Vindictive. Following the raid the Vindictive was used in the similar, but not so successful, attempt on Ostend harbour. The ship was to have blocked the exit. Initially the Zeebrugge Bell was housed in St Mary’s Church but was moved to the Maison Dieu in 1923. Every year since, including during World War II, the town’s Mayor has led a Memorial service on 23 April. 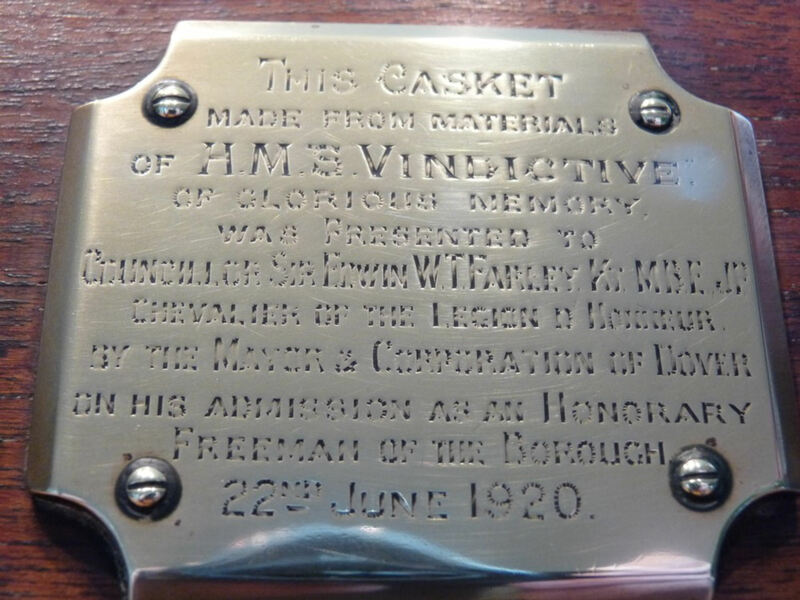 Following the 2012 service the granddaughter of Sir Edwin, sent me photos of a casket made from the Vindictive; Lady Farley had given this to another of her granddaughters on her wedding day. 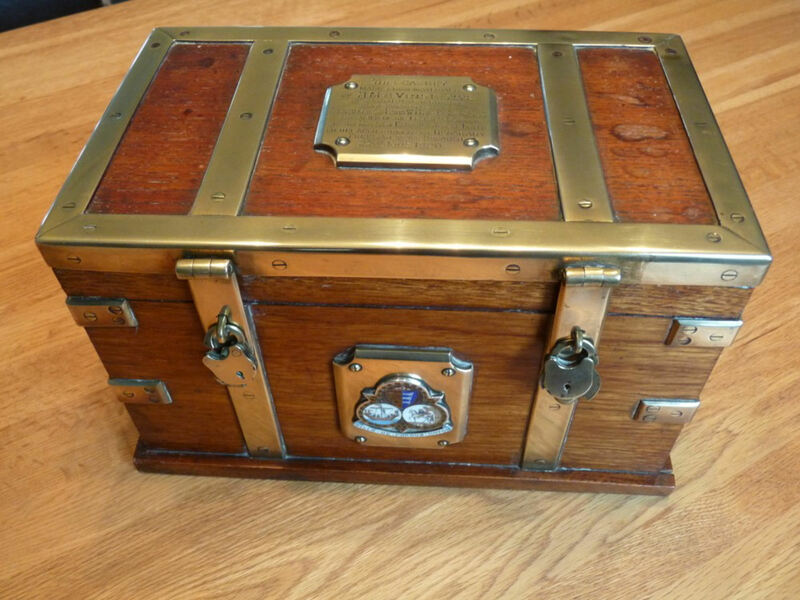 This casket was made from materials of HMS Vindictive of Glorious Memory was presented to Sir Edwin W T Farley Kt MBE JP Chevelier of the Legion of Honour by the Mayor and Corporation of Dover on his admission as an Honorary Freeman of the Borough. 22 June 1920. This entry was posted in Armed Services, Farley Edwin and the Vindictive Casket, Farley Edwin and the Vindictive Casket, People. Bookmark the permalink.